Well here it is, another bedside beauty post. Normally when I say I'm going to carry on a post monthly I forget and it never gets seen again. However the Bedside Beauty post I did last month went down better then I expected it too, so I thought I'd keep it up. Just the one new addition this month. 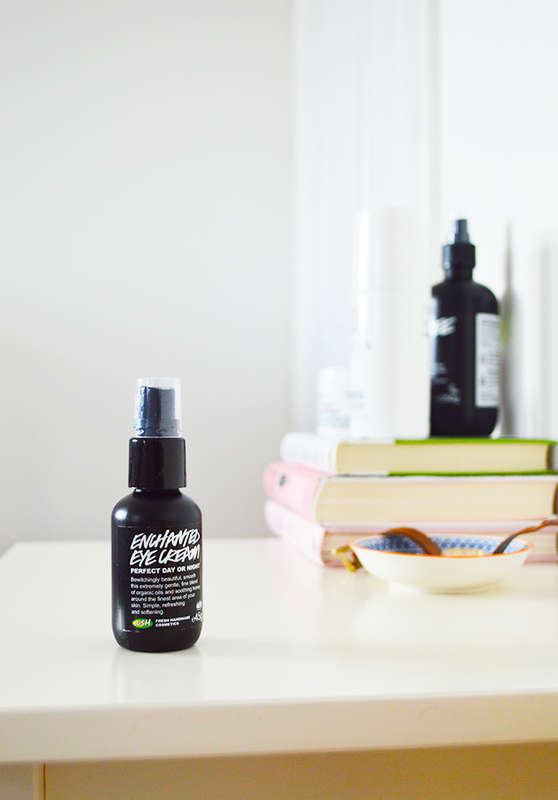 I've felt like my routines been missing a good eye cream for a while now so I decided to pick the 'Enchanted Eye Cream' up from Lush. My eyes probably get the full force of my make up, what with all the eyeshadow, liner, mascara and so on. Therefore I thought they needed a bit of TLC. This eye-cream's really good, it's really soothing and I've definitely noticed it's made the skin around my eyes feel softer. However for the price, I probably won't be re-purchasing this, just because I think you could get cheaper that does exactly the same thing elsewhere. But other than that, I really like it. The rest of my routine has basically stayed the same, I'll leave a link here if you want to see it in full detail. The only thing that has changed is the size of my Tea Tree Water toner, yup I upgraded to the big one. I know I bang on about it like all the time but it's just amazing and clears spots like no other product I've ever owned. Also I've decided that I do really like the Oskia cleanser, it has improved my skin and I really like how well it breaks down make-up, definitely one to be re-purchased! Hiya! 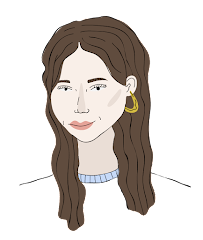 I'm Millie, a 21yr old, petite fashion + beauty blogger and fcp student from Nottingham. Wellcome! Everything written on my blog is 100% my own opinion and from July 2014 anything that has been sent or given to me by a PR company will be marked with an asterisk (*). I only accept items I would use and recommend myself. I never accept products that are irrelevant to my blog or that I wouldn't purchase myself. I like to keep my blog completely honest and unbiased so that readers know they can trust my opinion. © M I L L I E S W A R D R O B E | All rights reserved.